The television campaign—along with a new YouTube channel—coincides with announcements at the end of June by Minister of IIC Sahar Nasr regarding the finalization of the set of regulations accompanying the new Investment Law, which was passed in May after two years of delay. The core of the executive regulations is composed of two axes. First, the new rules bring generous tax deductions and benefits, both by increasing them as well as widening the pool of eligible beneficiaries of tax breaks. The deductions go beyond entirely new projects to include existing projects growing, such as by adding a production line. The second major thrust of the regulations is guarantees of good conduct on the part of the government, such as capping the number of days the government has to approve licenses and permits, after which the request is automatically approved—arguably the single most significant new measure in the law with respect to new ventures. Nasr set a target of $10 billion of foreign investment to be brought into the country during the financial year 2017-2018. But one must wonder whether, with the new investment law, the government may be attempting to answer the wrong question. Should Egypt be attracting investors with tax breaks and financial advantages, or should it be focusing its efforts on reassuring them first? It is true that the Egyptian government has taken serious, and painful, steps toward investment climate improvement. The floating of the Egyptian pound in November 2016 was a clear first step, which was immediately followed by a large (though unforgiving) agreement with the International Monetary Fund for a three-year extended fund facility through which Egypt will receive $12 billion as well as undergo severe reforms, including the introduction of a value-added tax and the gradual lifting of fuel subsidies. In early June, the Central Bank lifted foreign currency transfer limits, scrapping a “$100,000 cap on individuals’ transfers abroad and a $50,000 monthly deposit cap on non-priority imports,” thus reassuring foreign investors they would be able to repatriate profits and potentially capital. This has been a matter of bitter complaints from investors since 2011, when those limits were imposed (and subsequently tightened in 2016). But the cake can’t be all icing, and tax breaks cannot be the core of a country’s investment promotion policy. Another advertisement from the Ministry of IIC seems to have identified just that, as it opened with “Bureaucracy, corruption, red tape and hurdles, confiscation of funds, land disputes… these are the quickest ways for investments to flee.” The ad clearly references some of issues regularly highlighted in global investment climate assessment reports. The law includes key provisions for issuing investment-related residency permits; facilitating the import of raw materials, equipment, and spare parts by reducing the necessary paperwork; limiting the powers of Egyptian authorities to suspend or terminate licenses or allocate properties granted to any investor; accelerating liquidation processes; and creating “certification offices,” which would liaise with investors on behalf of the various “competent authorities” within the government machinery. Taken in conjunction with some of the economic legislation issued over the past three years, such as the new legislation on bankruptcy, these provisions are a step in the right direction. But with Egypt ranking 108th out of 176 countries on corruption, and 122nd out of 190 on ease of doing business, investors are highlighting that contracts are difficult to enforce, regulations are opaque, and bribery is pervasive if not unavoidable. And the law and its accompanying regulations fall short of addressing some of these key issues. Corruption, particularly at a lower level, will remain difficult to weed out. Conflicts of ministerial jurisdiction—the “competent authorities,” in the words of the law—vis-à-vis investors have not been clarified. The certification offices, themselves a new incarnation of the investment “one-stop shop” that have been touted for a decade, may face the same problem as those one-stop shops: that having a single office dealing with investors upstream would be scant relief if investors still have to deal with a multitude of ministries downstream. Although the law suggests that the certification offices would handle much of the downstream paperwork, past experience renders little optimism. In addition, investors looking to enter the Egyptian market have to contend with another important factor, rarely addressed in surveys: competition with military-owned industries. Estimates for their share of the Egyptian economy range from 1.5 percent, according to President Abdel-Fattah El Sisi, to as much as 60 percent. The military’s economic might is the elephant in fatigues in the room—and, despite the fatigues, it cannot be overlooked, but is impossible to address head on. And during the past three years, the role of army-owned industries has grown rapidly. When this author asked Major General Muhammad al-Assar, Minister of Military Production, whether he was aware that this risked crowding out the private sector, he seemed almost surprised at the possibility, then told me that the army welcomed partnerships with anyone in the private sector. This may not sit well with new investors attempting to build their own place under the Egyptian sun, only to find themselves overshadowed by the military behemoth, in a “cooperation” they could not eschew. Unsurprisingly, the Investment Law and its regulation do not address the economic role of the military. The focus of the televised campaign appears inward-looking, with less than subtle nationalist undertones. The “investor” shown when the voiceover talks about flight of capital is white, but the “new investor” is presented sitting with someone in an office with two Egyptian flags. Some ads are focused on local startups and entrepreneurs, more reminiscent of a campaign for small-business loans that has also been featured on Egyptian channels in recent weeks. While it may be justified, given that the ads are being broadcast locally, they are still a missed opportunity, and would have been better used to inform and educate the public on the importance of foreign investment. Egypt has long maintained that its economic fundamentals are solid, and this has been the underlying thought behind many incremental legal reforms conducted over the past few years. But this time, Egypt is not in a cost competition with other emerging markets to attract foreign investment, particularly if it hopes to encourage new investments as opposed to foreign acquisitions of local companies: it is competing with its own fundamental weaknesses, something that most investors, local and foreign, have already realized. Egypt needs to catch up, and this new investment law and its regulations are a smaller step toward this goal than one would have hoped. 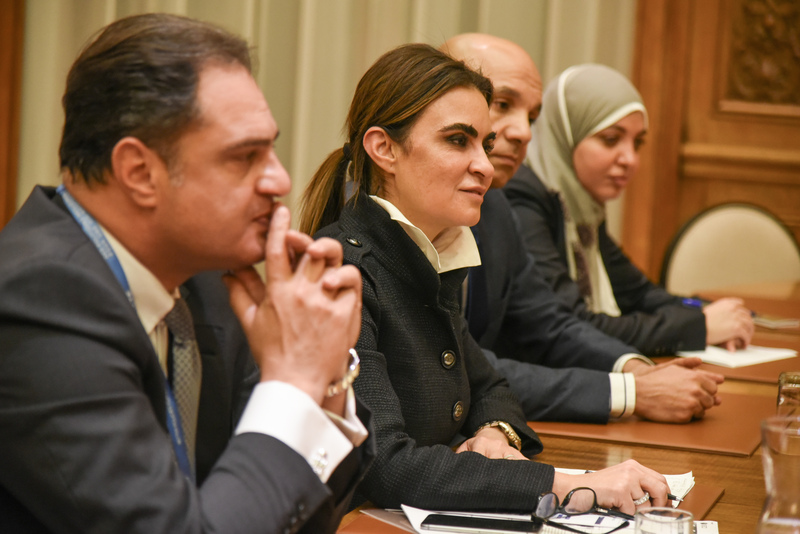 How Egypt markets its national “Investment Map,” which outlines available investment opportunities and is due to be formally launched in the coming weeks, will be a more important test.